Home » Main Dish » Cucumber Sandwiches – gluten-free, dairy-free, sophisticated, and easy! ← Chocolate Chip Fresh Cherry Bread – gluten-free, dairy-free, and addictively amazing!!! I can’t believe how long it’s been since my last posting!! 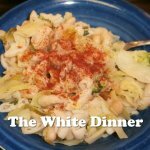 Last winter, I had plans for recipes that I would post in the spring and summer with fresh ingredients like blueberries, strawberries, and cucumbers. But then over the summer with my kids at home, even with an awesome nanny for my youngest, there was never enough free time for me to get to all of my paying work programming computers, let alone time left over for blogging. And so here it is, the end of September — and I have a zillion recipes in my head, waiting to be typed in and posted here. This is a good springtime recipe — though really it works anytime that you can find fresh cucumbers, which is pretty much all year long. 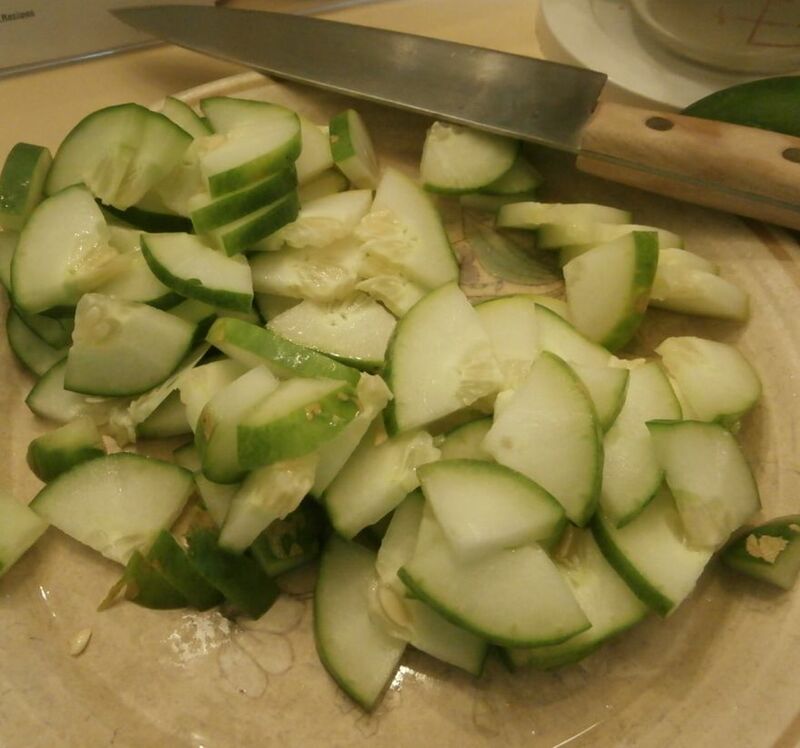 Though if you have garden-fresh homegrown cucumbers, those are fabulous in this recipe! I invented this recipe one day when I was reading someone else’s cucumber sandwich recipe and wishing for an easy type of gluten-free yeast-free bread. Then I realized that I have an awesome cornbread recipe, which is gluten-free and yeast-free, and which can be baked in a thin layer on a cookie sheet to make a very decent, quick and easy type of bread that works great in sandwiches. 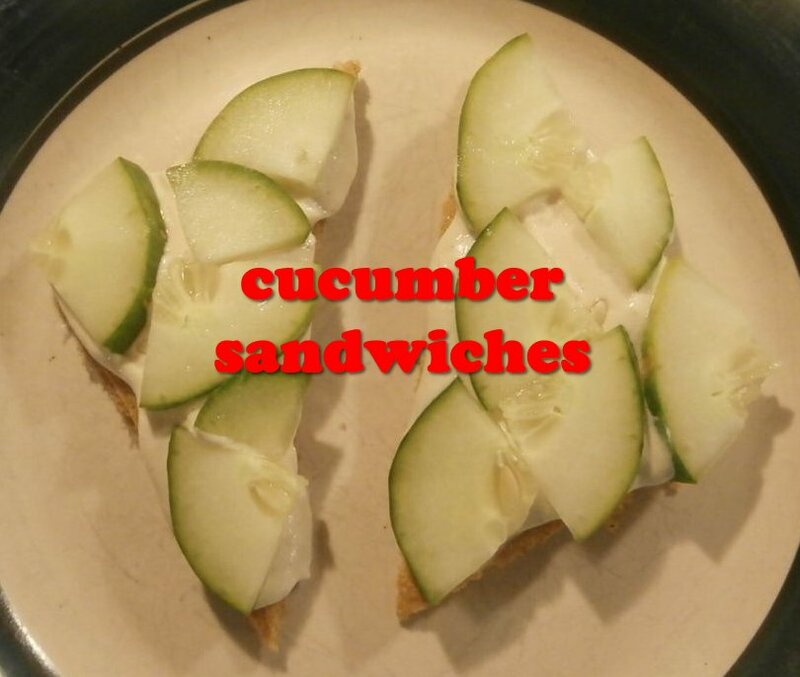 And so, this very alternative-y cucumber sandwich recipe was born. 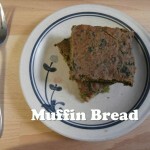 You can easily make this vegan by using flax eggs to replace the eggs in the cornbread. 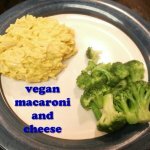 Here are two variations for how to make vegan cream cheese. 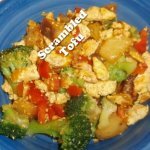 In case it is helpful for deciding which kind to use: The tofu version has fewer calories, more protein, and is less filling. The nut-based version has more calories, and is more filling. 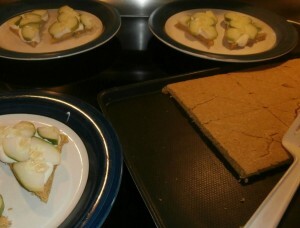 Awesomely yummy easy homemade gluten-free dairy-free cucumber sandwiches. 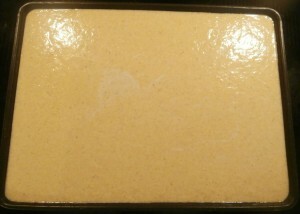 In a mixing bowl, mix all cornbread ingredients. Pour onto an awesomely nonstick 11x15 inch cookie sheet. 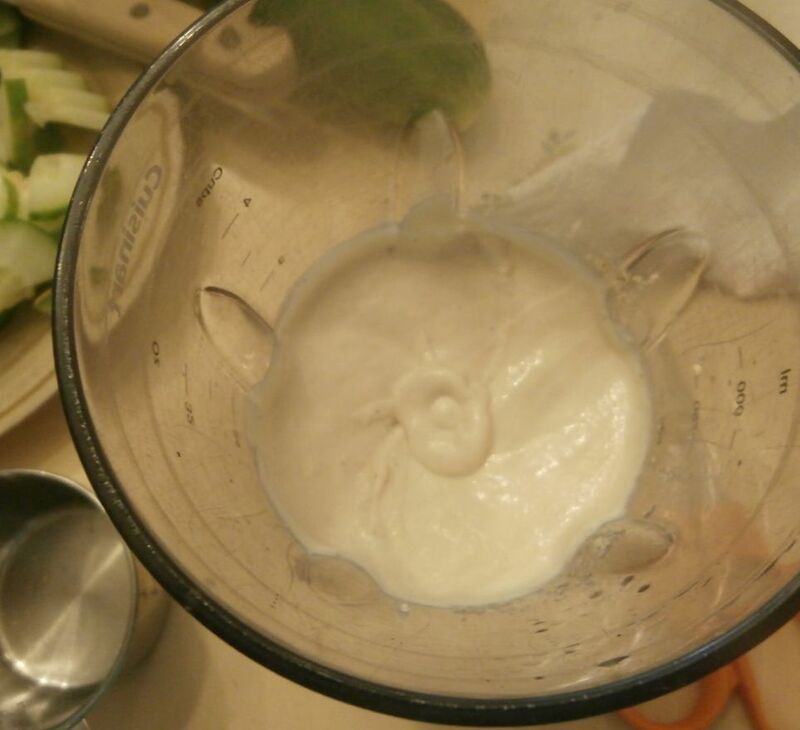 Mix all cream cheese ingredients in a blender. If it won't mix, add a tiny bit more water and continue blending. Blend until very smooth and creamy. Cut cucumbers into 1/4 inch thick quarter-circles. A mandoline is helpful for slicing to a very even thickness, but you can also slice them with a regular knife and that works fine. 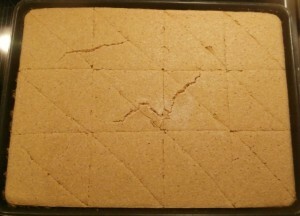 Use a hard plastic spatula to cut the cornbread into a grid of twelve squares (see picture), then cut the squares diagonally so that you have 24 triangles. Spread some vegan cream cheese on each triangle, then decorate with plenty of cucumber slices. 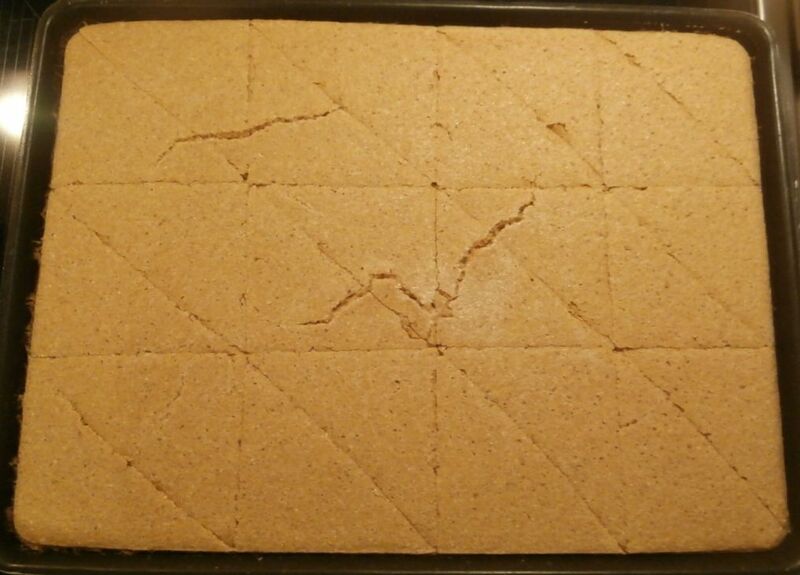 Instead of making triangles, you can use a cookie cutter to cut the cornbread into shapes. Heart-shaped cucumber sandwiches are adorable! 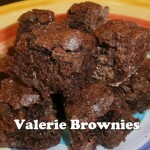 I shared this recipe on Gluten-Free Fridays!